What procedures did older adults receive? In 2004, 16 millions older adults received about 74 million dental procedures. Among those with a dental visit, 85% receives a diagnostic service, 75% received a preventive service, and 29.7% had a prosthetic service. A report comparing trends from 1996 to 2004 are mixed, with a slight increase in the use of diagnostic and preventive services, but a slight decrease in the use of restorative and prosthetic services. What about vulnerable elder? Vulnerable elderly patients have been defined as patients over age 65 who have any or all of the following: limited mobility, limited resources or complex health status. 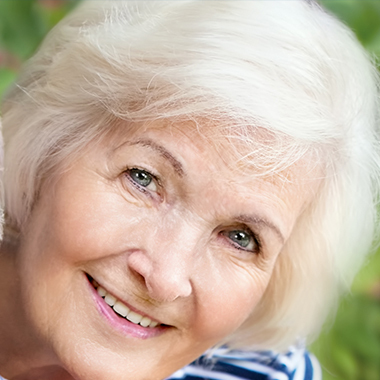 Numerous studies have described the inadequacies of our dental delivery system in meeting with the oral health needs of subpopulations of elders, including the homebound and those living in long-term care facilities. Federal legislation passed in 1987 was intended to improve access to dental care within nursing homes through the required use of minimal data set (MDS) and follow-up using resident assessment protocol (RAP). However, an Inspector General report in 2001 cited dental care as a “top 3“ area for which RAPs did not trigger a care plan. Model programs such as the Apple Tree Dental have refined delivery system issues, including the effective use of portable dental equipment, communication with patients and families, obtaining informed consent and billing for services. However, much work is needed to ensure adequate access to care for this subgroup of elders.